According to the Pew Research Center, in 2015 Millennials (adults ages 18 to 34 in that year) surpassed Generation X to become the largest portion of the American workforce. And, the report indicates that the Millennial generation’s labor force will only continue to grow in the near future. One of the largest reasons for the exponential growth is that so many Millennials are making the transition from college student to worker. What can businesses do, then, to help attract and retain Millennials? 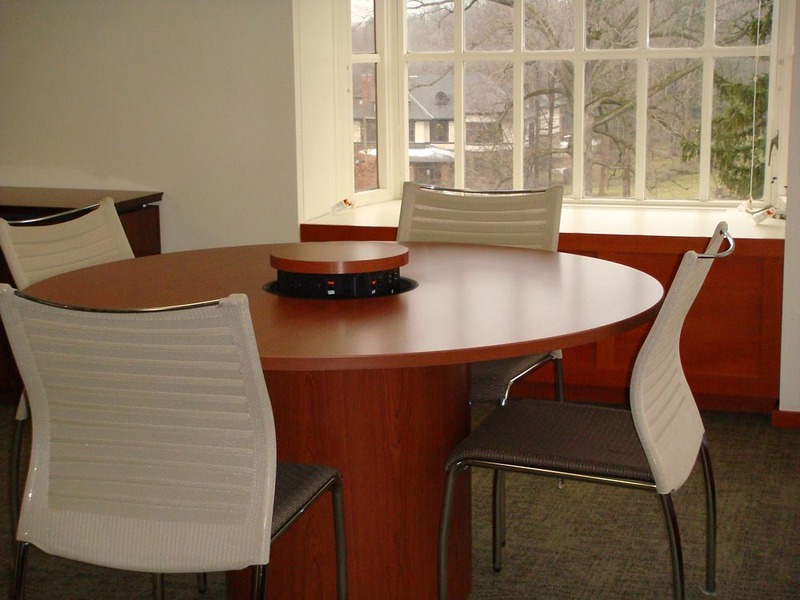 Businesses should look to higher education for workplace design trends. Colleges and universities alike have recognized the importance of the design of spaces and are investing more than ever to create and renovate spaces that attract potential students, and keep current students happy and healthy. Those who have spent four to six years in the higher education environment gravitate toward workplaces that have the characteristics they’ve grown accustomed to – less formal, more open, and more active, with more opportunities for contact and collaboration. For the Millennial worker, gone is the day of the status a corner office once held. They prefer to work in an environment that encourages contact and collaboration. They are much more adept at filtering out background noise and distractions, and feel at ease with people coming and going, laughing and talking. Millennials are much more minimalist as well – just think your local Starbucks, and you’ll have an idea of what your Millennial workforce will need – a table, a laptop, an iPhone and earbuds (and ample access to power supplies and Wi-Fi). Millennials seek a comfortable, collaborative workspace. The privacy of a cubicle is not as important to the Millennial worker, either. They’re used to communicating via text messages and emails. Private conversations with family, friends and even co-workers are conducted using these means. Open spaces with lots of light appeal to Millennials, as do work tables instead of desks, and cushioned chairs that allow them to settle into their workday in comfort. Millennials are researchers and they’re savvy when it comes to finding the right place of employment. Just as they visited several colleges before selecting one, they are considering and visiting many employers before deciding where to work. Corporate culture is near the top of virtually every list of reasons why a Millennial may choose one employer over the other. A well-designed workplace similar to what they experienced in college is one of the most effective ways to demonstrate a positive organizational culture. It’s visual and immediate – appealing to an exciting new workforce. We are ready to help you with your workspace needs. At roi Office Interiors, we’re dedicated to helping you create a comfortable workspace that attracts quality employees from all walks of life, and that is warm and inviting for the people you do business with. With convenient locations in Rome, Syracuse, Albany and Ithaca, we’re ready to help you. To learn more about the services we offer, please give us a call at 315-334-1388, or fill out our convenient online contact form, and we will be more than happy to assist you.